Back in September, an International Trade Commission judge in the U.S. ruled that out of three patents Qualcomm alleged that Apple used without a license, only one was infringed on by the iPhone manufacturer. At the same time, Judge Thomas Pender said that imposing an importation and sales ban on the iPhone in the U.S. would be against the public interest and would negatively impact competition in the modem chip market. Yesterday, according to Foss Patents, the Munich I Regional Court banned Apple from selling iPhone models in Germany sporting Intel modem chips up through the iPhone X. The court had ruled that Apple had infringed on a Qualcomm patent that was one of the two that the ITC said was not infringed on. What caused the Munich court and the ITC to issue different rulings? Was it a matter of two different interpretations of the law? Ideological differences between the judges? A report by Patent Progress states that it had to do with the evidence presented by Qualcomm in both venues. Apparently, the schematics of the chip that Apple was found to have infringed on by the German court, were not shown to the judge in Munich. That evidence was presented to the ITC, which said that Apple did not infringe on that particular chip. The report says that Qualcomm's European lawyers wouldn't promise to keep the schematics confidential, which the company's U.S. attorneys agreed to do. As a result, the actual designer of the chip, a company called Qorvo, could have had its design seen by Qualcomm engineers if the schematics were presented as evidence in Munich. Thus, the German court refused to allow Qualcomm to use this information. The bottom line is that Qualcomm's European lawyers, by not promising confidentiality for the schematics, made sure that evidence that helped get Apple off in the U.S., would not be presented in Munich. Additionally, the preliminary sales ban of older iPhone models that was imposed in China following a court ruling, was made by the Fuzhou Intermediate People’s Court ex parte. That means Apple was given no notice about the hearing, and it was never allowed to present its side of the story. In other words, the court in China decided to issue the importation and sales ban simply because it decided to believe Qualcomm's filing without hearing or even informing Apple. Tactics like these are one of the reasons why an Apple spokesman has called Qualcomm "...a company whose illegal practices are under investigation by regulators around the world." And it makes us wonder how Qualcomm CEO Steve Mollenkopf can say that he expects a reconciliation between the two firms. Sounds to me like Qualcomm just played it smart. This is the power of the zombie media when it comes to Apple. The second Apple is down they start making up BS and trying to sling mud everywhere to see what sticks. This is why Apple is so dominant, they get free marketing, favorable press, bendy devices get a pass, etc. Just hilarious. That's Alan for you. I also like the part where Alan said "made sure that evidence that helped get Apple off in the U.S.". How did Apple get off in the US, especially when the case is still going on in the US. In the end Apple is going to pay. It's just a matter of when. Alan will naturally put a twist on it, and make it look like Apple is the winner. Alan is good at that. He's just not good with the real truth. Pff! I don't believe Apple was denied hearing. Can't imagine that happening in court. I think this writer should dig further into this case before making such huge claims or stuff. Is china unhappy with the United States? Absolutely. Did Qualcomm withhold certain documents? Most likely. However we must understand that as long as apple have nothing else to use and turn the case around in court, Qualcomm has the right to withhold whatever they want. That's my take. I'm with Alan on this one. But Alan, you should never mention or use your 'daily drivers' to backup an argument here. As a writer, if you have to tell people what you use daily to prove that you're not biased, you've already lost the argument. Especially, if you got no way to prove it. You clearly are a liar Alan. Especially when others can go back and look at all the articles you wrote. You are the most biased person on Phonearena, and the articles you write prove that. Just look at how you write things. Just look at this article. You said "by not promising confidentiality for the schematics, made sure that evidence that helped get Apple off in the U.S., would not be presented in Munich..". First of all the case in the US is still going on. So how did Apple get off? Oh wait Apple didn't get off because the case in the US is still going on. You said you are often accused of being a paid shill for Apple. I am 100% sure you have never been accused of being a paid shill for Google , Samsung or Android in any way, because your love of all things Apple shows in all the articles you write. why? the same sh*tty stuff is going on in Apple's hometown court against Qualcomm's favor. 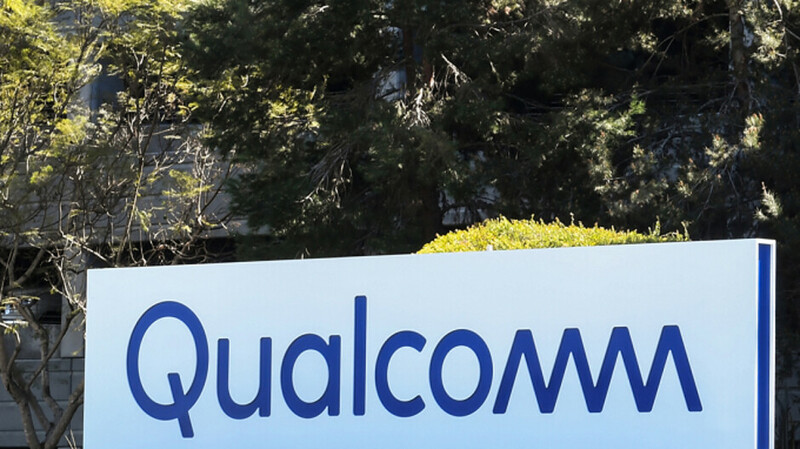 Apple's hometown judge Lucy Koh is busy denying Qualcomm's crucial witness and evidence against FTC. If this sounds familiar, yes, it's the same judge Koh notorious for crippling Samsung's defense against Apple. Remember when Apple filed motion for adverse instruction just 4 days before the trial? When Samsung did the same just two days later, Koh's BFF Grewal denied Samsung's motion reasoning that he could do it whatever he feels like -- until the public found out it in a brief uproar? Please, the U.S will never ban Apple. There will be riots from the herd. No matter how you explain it, the end action was the same - Apple illegal copied Qualcom's designs. American judge let Apple off simply because iPhone is too popular, and not because Apple was right. German judge ruled based on what's right. Waiting for all the Apple haters to say that this article is false or QC just took advantage of the loopholes so nothing wrong with it. Apple deserved it. Qualcomm did nothing wrong. They just played it smart. not sure how much Apple is paying their lawyers, but they need to step up. Fruit company 2020 is coming for you! It’s not Qualcomm responsibility to dig up evidence against itself. The writer of this article needs serious education on how the world works. First the China case, this is s natural response to what the US has done and continues to do to Huawei. I mean Apple should be thankful that the Chinese court didn’t completely ban them. The Chinese government is probably looking for the slightest mistakes to ban/annoy American companies in China. As for the German case, have you ever seen lawers that play it fair? Lol just look at Apple lawers during the Samsung battle to just prove to yourself that lawers of big cooperations never play it fair! I’ll sum it up for the anti Apple crew - harkun, sigpro, lyndon420, supha, and the rest of the Android/Samsung defense forces; Qualcomm first went to China, because in China a defendant can’t participate, and in Germany Qualcomm prevented the chip design and designer from being presented on how the chip works, effectively neutering Apple from making a counter argument. The facts don’t matter to the Android/Samsung brigade, but still they needed to be presented. Your use of the lower case i is so played out that I actually feel sorry for you.